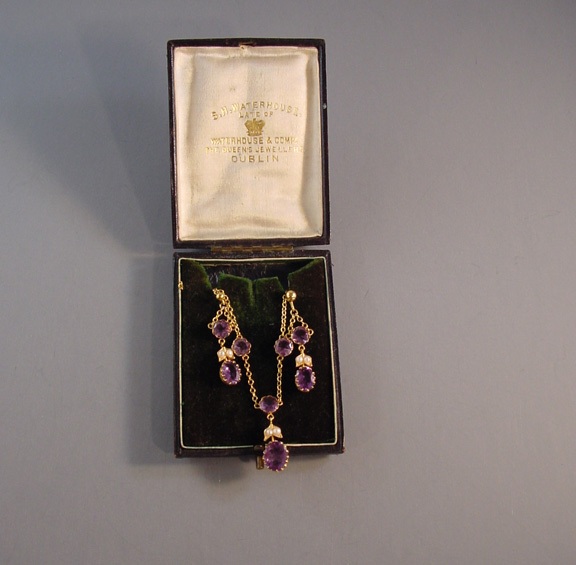 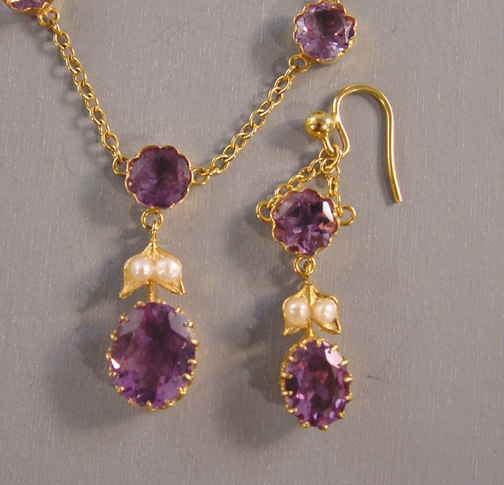 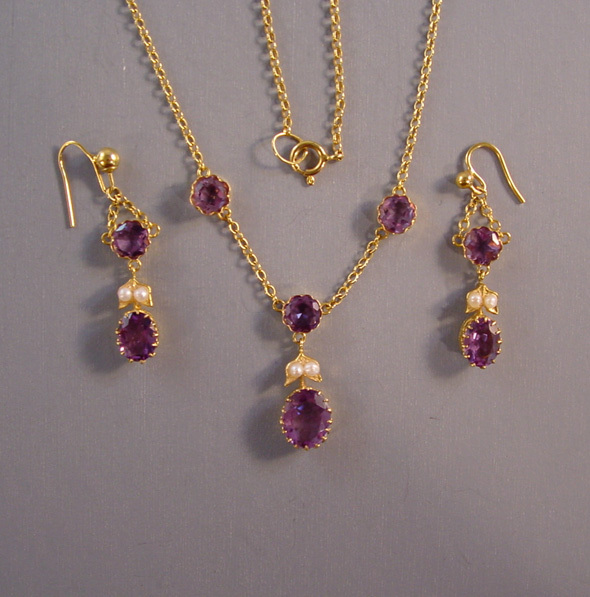 EDWARDIAN 15 karat, amethyst and seed pearl necklace and earrings set, all in fitted box. 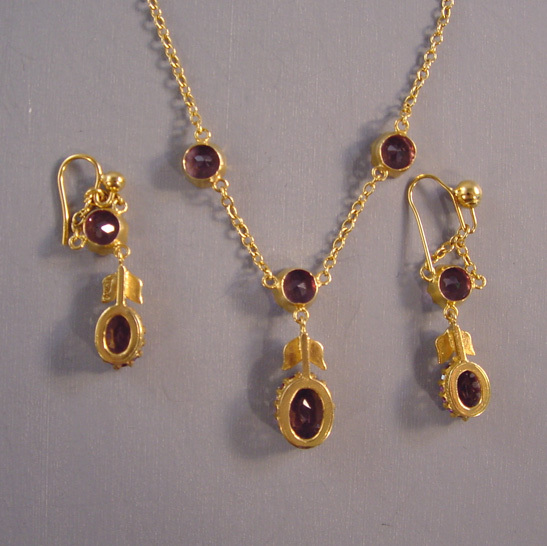 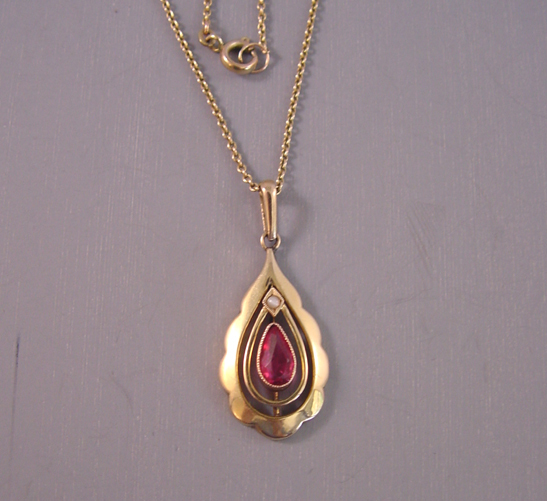 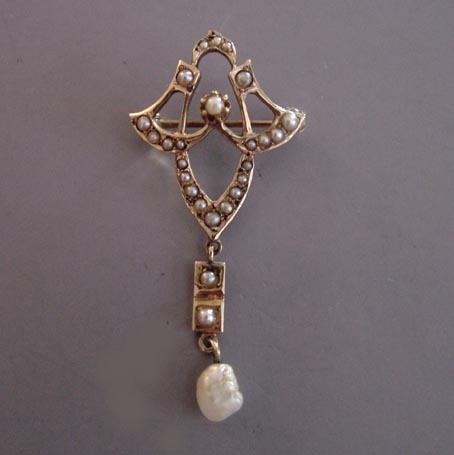 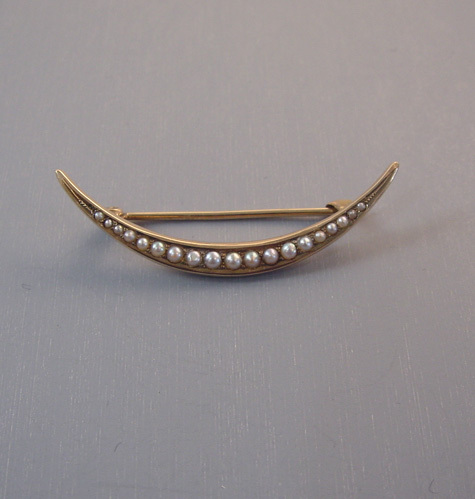 The pendant has a 17" long chain with a 1" pendant, and the earrings top to bottom, including the wires, are 1-1/2". 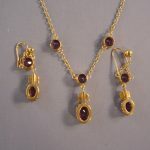 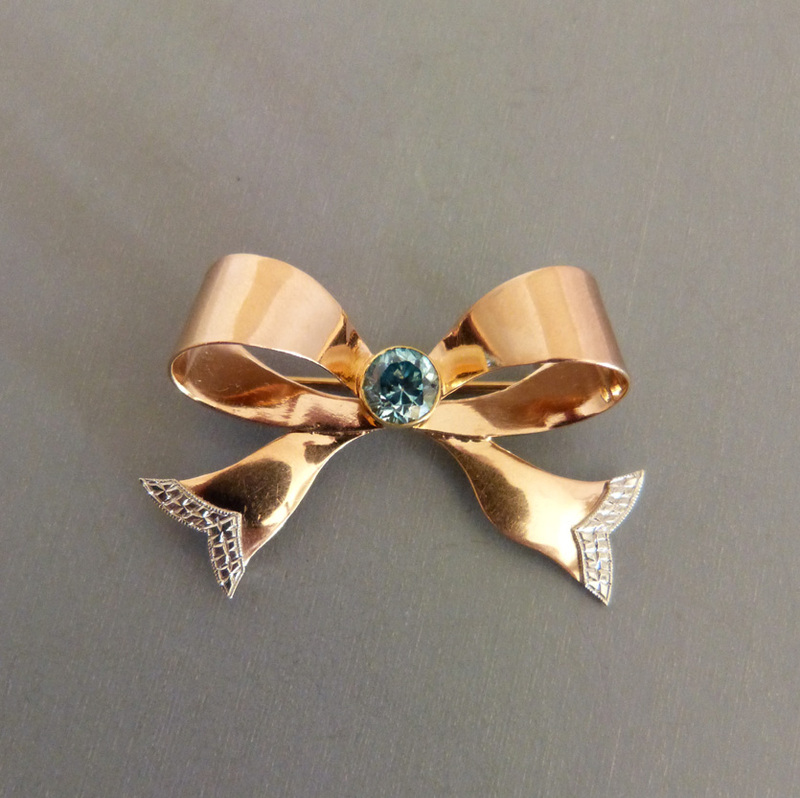 The chain is marked "750" for 15 karat gold and one earring is also marked "15ct". The amethysts are set in lovely multi-prong settings with fleur-de-lis shaped prongs, and the earrings are for pierced ears.